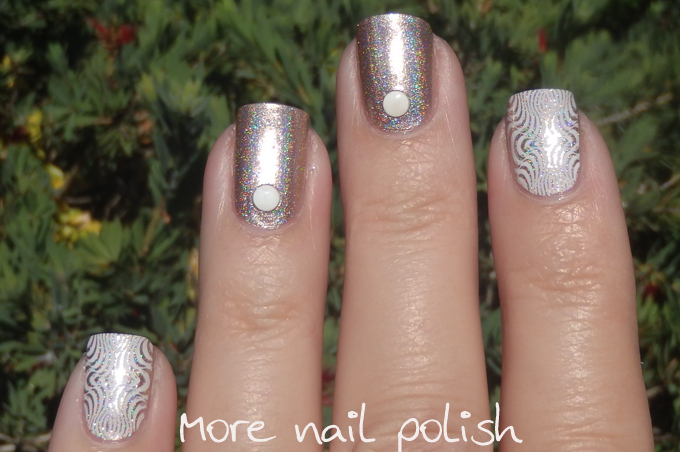 I was recently going through my facebook feed, when I saw a swatch of JOSS Tantastic Glow on the Nail Super Store Australia feed. It reminded me of how much I liked this polish and that I hadn't worn it in ages. 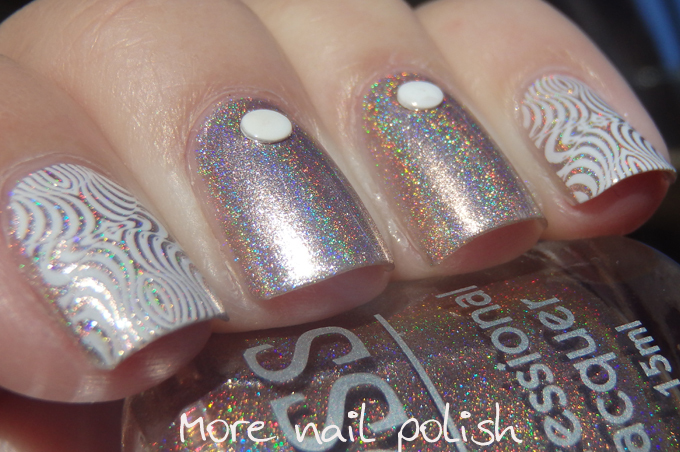 You can see my original swatches from nearly two and a half years ago here with the rest of the JOSS holo FX range. 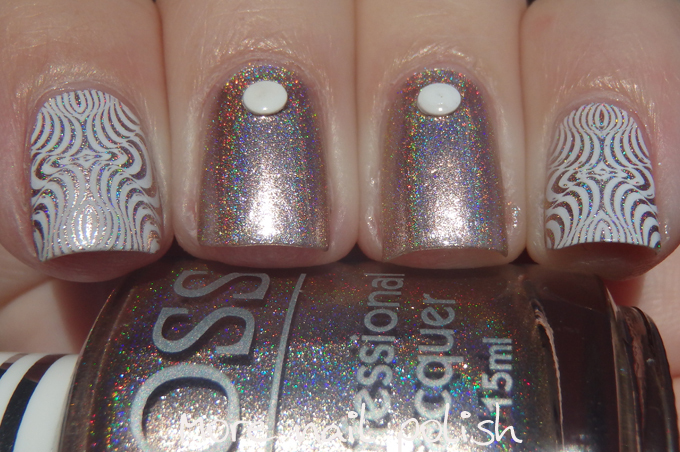 This time I teamed up Tantastic Glow with some simple white studs and some fine detailed stamping. 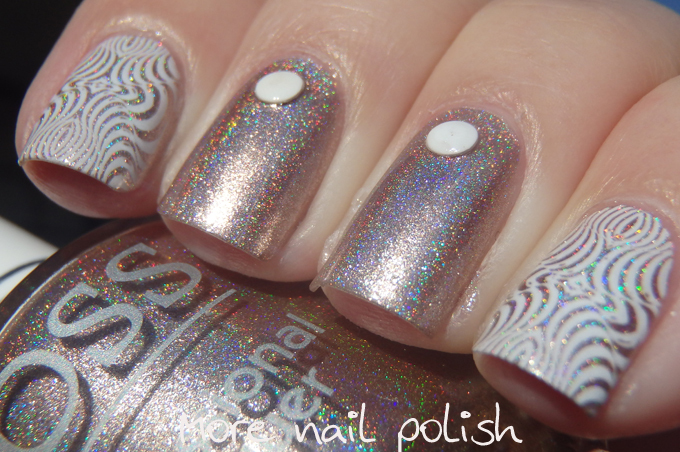 The stamping is from plate JR-28 that I got through My Online shop on Etsy. That's very pretty - I like the white studs a lot!